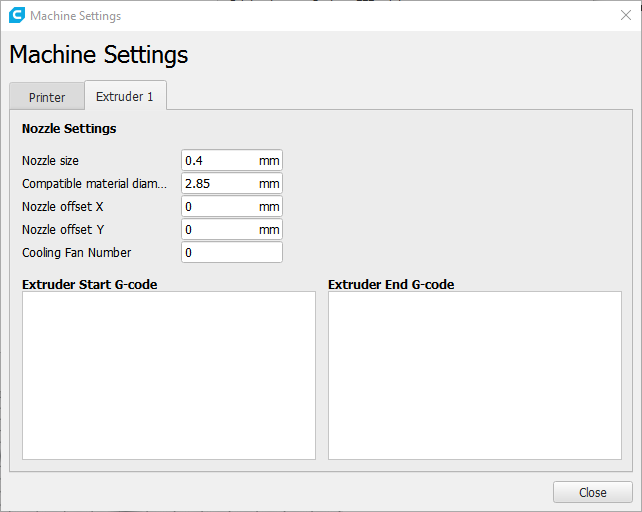 I'm trying to enter the settings into Cura for the printer. How do I translate the settings from teh screenshot into the settings I have available? Should I be concerned about the settings that aren't available to enter? Do I need to enter them somewhere else? Your manual is in another Castle! 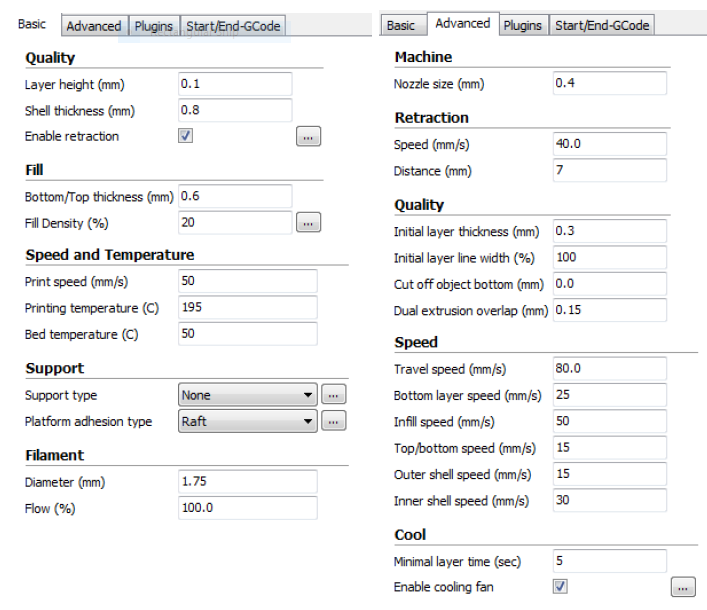 The manual you look at is for Cura (1) 15.04. 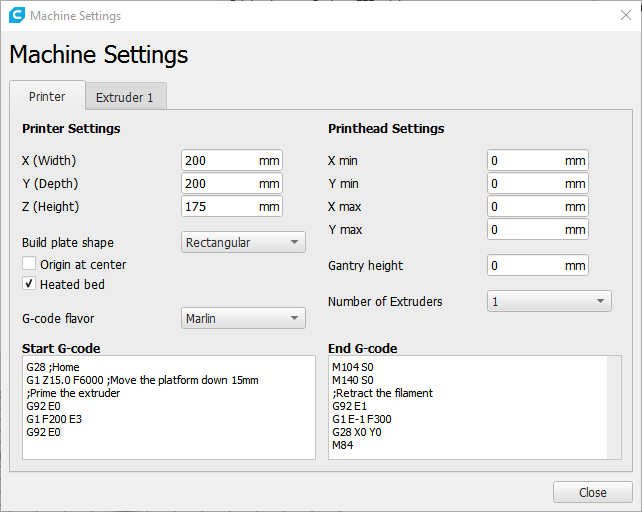 You are however using Ultimaker Cura 3, most likely the most recent 3.6. The machine setup is for the physical settings of the machine - build volume, nozzle diameter, coordinate system and such. The other settings you refer to are all set in the right bar, but you will have to switch from simple to advanced mode, and possibly activate the settings you need. Not the answer you're looking for? Browse other questions tagged cura desktop-printer or ask your own question. Cura confused as to what's touching the buildplate?